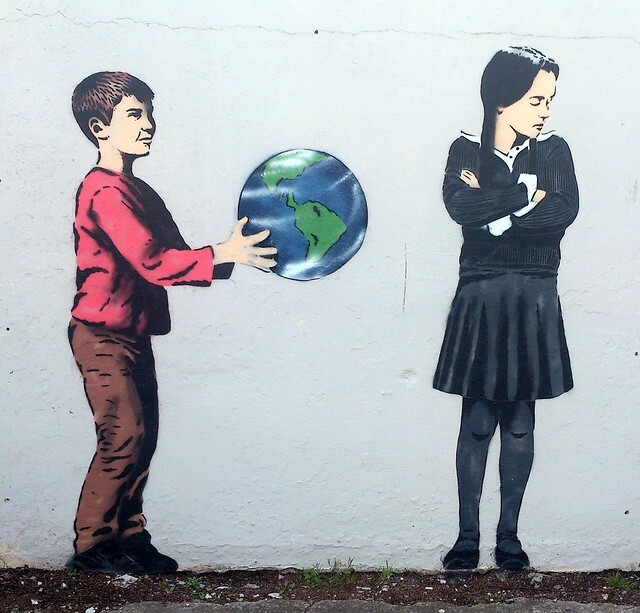 I went to visit the brilliant new piece from local street artist JPS in Bedminster today. It’s really neat, isn’t it? 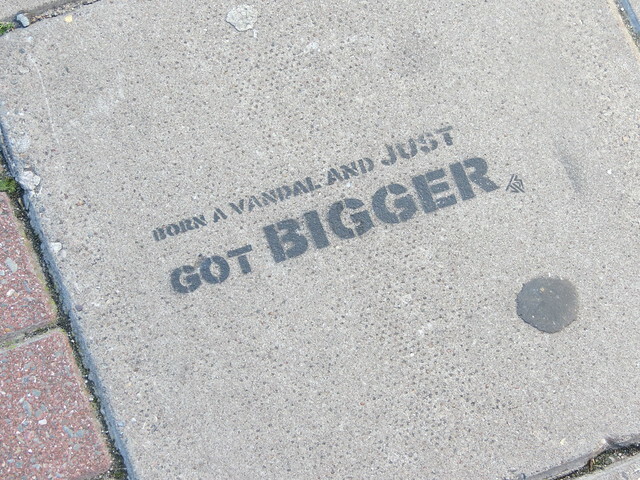 When I was out and about on Saturday I spotted this piece of graffiti on University Road in Bristol. I think it’s been there since last November, but it was my first time to see it. 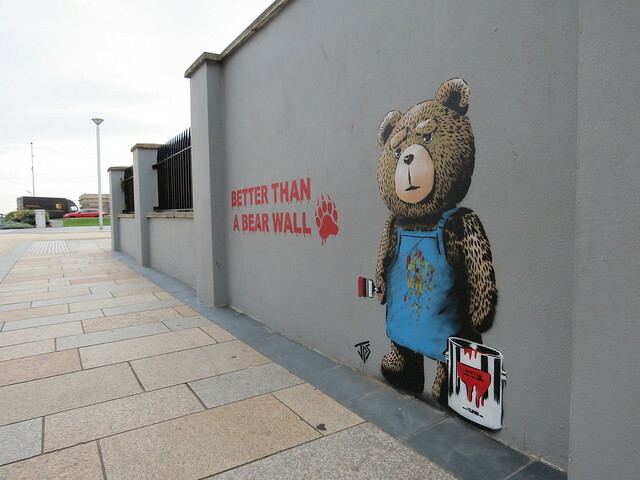 According to Bristol Culture, the piece is “mocking Banksy’s recent foray to New York, where he revealed a new piece every day last month [October]”. 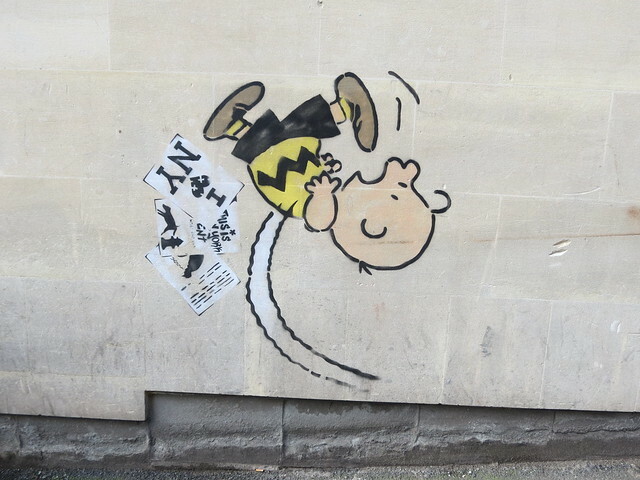 The piece “shows Charlie Brown slipping on a few of the stencils that Banksy might have employed”. 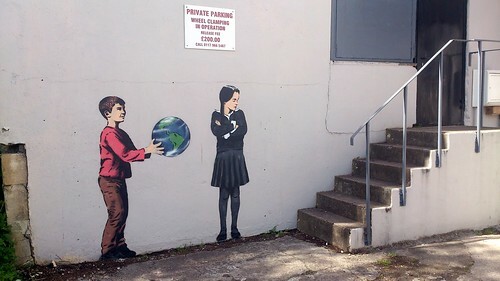 (Bristol Culture) I’m pretty sure it’s by JPS.